A clever, value hybrid console at a great entry price for starting an import collection. 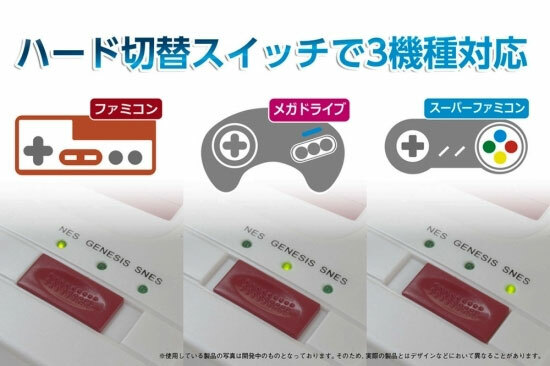 Utilises USB ports for the controller with an AV output, the console has three different cartridge slots for Famicom, Super Famicom and Mega Drive modes. Think of it as neutral Switzerland during the 16Bit console wars. 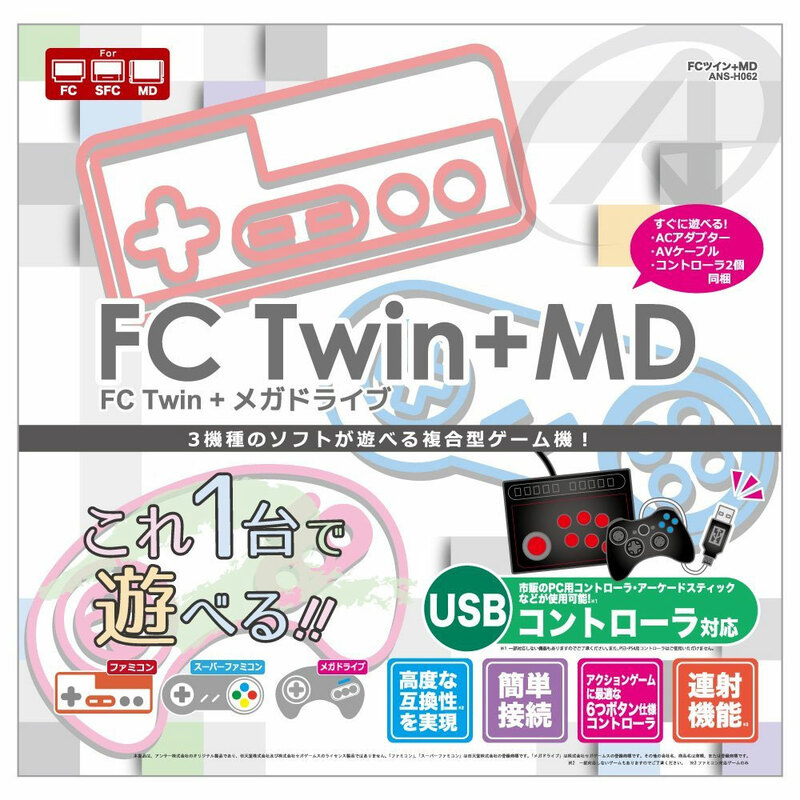 Nice, retro Famicom colour scheme. Brand new. Small dent on reverse of box. 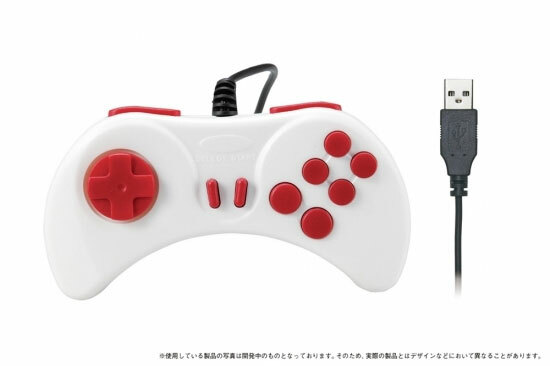 Comes with two controllers, AV cable and power supply. To use the original power supply requires a step-down transformer. Also requires an NTSC capable TV, but most modern TVs include this capacity.